Pat Palmer graduated with a Baccalaureate of Science in Physical Therapy from Queen’s University in 1988. She completed her Canadian Manipulative Physiotherapy examination in 1997, which qualifies her to manipulate both the peripheral and spinal joints. She has received her Advanced Diploma in Manual and Manipulative Physiotherapy and is a Fellow of the Canadian Academy of Manipulative Physiotherapy. Manipulative therapy takes a systematic, problem-solving approach to patient treatment that has a sound scientific and clinical basis. As a manual/manipulative therapist, Pat provides comprehensive conservative management for spinal, extremity and temporomandibular joint neuromusculoskeletal dysfunction. A very thorough biomechanical assessment precedes and determines treatment. Pat has clinical experience in orthopaedics and sports injury assessment and treatment in the Ottawa area since she graduated. She is privileged to be qualified to practice the Gunn technique of Intramuscular Stimulation (IMS) as an adjunct to her manual therapy techniques. She feels that a manual/manipulative physiotherapist is a valuable asset to a health care team for both prevention of injury, and for treatment of injury. Pat’s special interest lies in treating musician’s injuries. She has worked with the musicians of the NAC orchestra since 1998. She has also had the privilege of working with the young musicians at the world-renowned Young Artists Program since 2007. 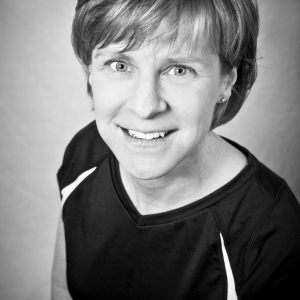 Pat is the owner of P3Physiotherapy, which has been proudly servicing clients in Metcalfe, Ontario since 2009. Her clinic and the multidisciplinary team that works with her strive to provide the utmost in effective and efficient treatment, and they maintain a high level of assessment and treatment through regular post-graduate educational courses.